Ian Fox is a stand up comedian and writer living in Manchester. He has performed all over the UK and abroad. He was also a member of the topical comedy team Men@Work at the Manchester Comedy Store. As a versatile performer he regularly performs and MC"s gigs on the UK circuit. 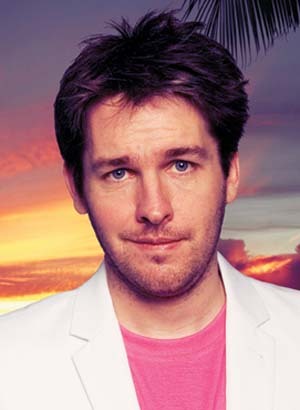 In August 2006 he made his debut at the Edinburgh Fringe Festival to critical acclaim with his show "The Butterfly Effect" which was later developed into a BBC Radio Pilot. In 2007 he followed it up in 2007 with "One Man Defective Story".In 2008 he supported Arthur Smith at the Lowry in Salford and started headlining at a number of gigs up and down the country. Prior to starting his career as a stand up comic Ian worked as a Photographer and still takes photos on a hobbyist basis. Other highlights include teaching English in Ecuador - where he lived for over a year. 2007 - One Man Defective Story. "Go and see this show" Karen Dunbar, Radio Forth, 8th August 2007. 2005 "Seymour Mace - Imaginary Friends Reunited" (Assembly Rooms). "Funny, Fascinating and Engaging!". Kate Copstick - The Scotsman.